Salaah is not a ritual of set movements but a frame of mind; when performed properly, it gives meaning to their deen and spiritual peace (Sakina). Salaah unites the mind, body and soul in worship of Allah SWT. Muslims must ensure they are in the correct state of mind before their prayer. They must put aside the thoughts and concerns of the day and concentrate on Allah SWT, their creator. 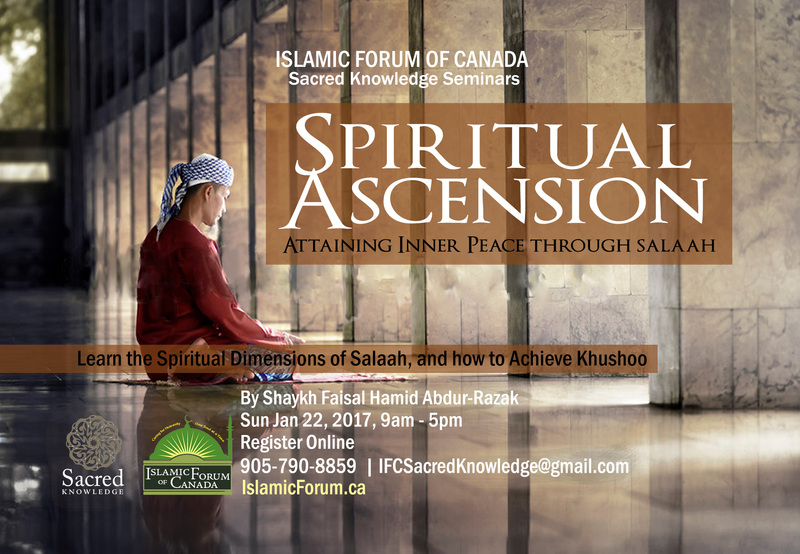 Shaykh Faisal Hamid Abdur-Razak will speak about the inner spiritual dimensions of Salaah and to how achieve Khushoo (calmness) in salaah. Previous PostIslamic Forum Summer Camp 2016Next PostNew Years Live!